“It’s the end of the world,” one onlooker can be heard saying, as bright, pulsating orange lights hover eerily in the distance. But while this mysterious apparition has been spotted in the skies above France more than once, its source remains a mystery. 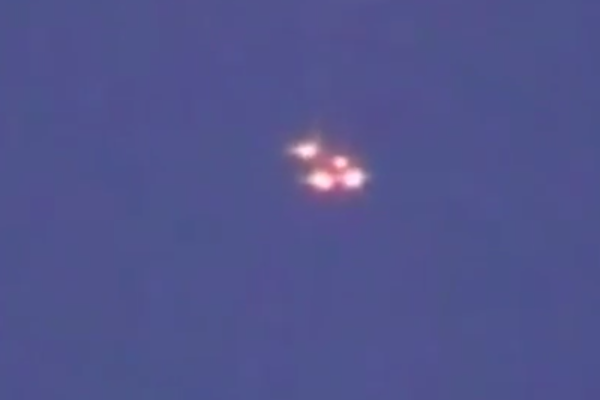 The video above, uploaded to the Section 51 YouTube account, shows a group of brilliant, flame-orange objects hovering in the sky, as those observing it talk excitedly about what their source may be. Most residents of the small town of Vals de Saintonge wouldn’t dare utter the word “UFO”. But seeing one is just the claim of the two who observed a luminous phenomenon in the sky this week. Coincidence or chance, Lydia Brown is not the only one to have observed the phenomenon. Samuel, a 33- year-old man living in Saint-Georges-du-Bois, also saw a very bright light. But this time, it was Wednesday night, near Saint-Jean-de-Liversay, a sixty kilometers distance from the first observation. Is there any connection between the sightings, and if so, what were the objects people had reported seeing?